If your business utilizes a call center, you are already aware of the need for call monitoring software. In order to truly understand the actions and performance of your contact center, you need a sophisticated solution to call center monitoring. This is crucial to track associate engagement, monitor and coach performance, maintain quality assurance, and gather and analyze customer data. Without a functional call monitoring software solution, your call center is effectively operating blind. The hidden costs of not properly managing call center QA include lost business, customer dissatisfaction, loss of reputation, and lack of clarity in strategic direction. You can avoid these pitfalls with the implementation of a robust call center monitoring software solution. All call monitoring systems are not created equal. In fact, there are many different software solutions being marketed for call center management. Implementing call monitoring software has the potential to be costly and time consuming- especially if you choose the wrong software. Doing your due diligence on available options is a must. Call monitoring solution may be completely off the shelf, or 100% customized to your business needs. It can be a bare bones approach to call recording and analysis, or may contain a suite of features to enhance business operations and call center quality. Your chosen package may include on site or remote support, or have no post-implementation support at all. Be sure to familiarize yourself with each of the options before making your final decision. The first consideration when choosing call monitoring software is its fit with your business needs. Just as all call monitoring systems are not created equal, all businesses are different as well. A software system that is a great choice for a large company in the consumer goods industry, for example, might be a poor choice for a small health care business. Identifying the alignment of the software’s features and benefits with your company’s needs is critical. You should also carefully investigate cost, time and resources required for implementation, and after-installation support when evaluating different options for call monitoring software. It’s especially important to ensure that the company you are doing business with is well established in the industry, with relevant customer testimonials and references. Evaluate Quality™ is part of Sage Advantage and is an industry leader in call monitoring software solutions. 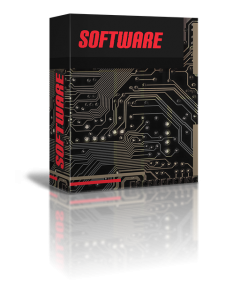 They offer a completely customizable package that allows businesses to tailor the software to their specific needs and metrics. As a trusted expert in the field, Evaluate Quality has helped businesses large and small get the most out of their call center operations. If you are serious about implementing a high quality, robust call monitoring software package, contact Evaluate Quality today. Schedule your no obligation online demonstration now.